← Is there a choice you need to make? “I lead with gratitude,” said Roland “Boot” Boutwell, an effervescent spirit who last Monday evening led a thought-provoking program on the Winter Solstice for The Friends of the Fells. The group is a not-for-profit association that supports a 2,500 acre nature reserve that was established in 1894 about 8 miles north of Boston. I’d venture to call him a naturalist. Although I’d really be selling him short with such a description. For close to two hours he entertained a group of all ages with a science and history exploration of the Winter Solstice. He used historical poems evoking hardships of long ago. (Hurry, Hurry Mary Dear by N.M. Bodecker) He used interactive science experiments. He used song. (The Long Time Sun by Robert Williamson) He used whimsy. He brought home the very real fear held so long ago that accompanied the Winter Solstice — that the sun would continue its retreat until the earth was cloaked in darkness. My 7 and 8-year-old children accumulated all sorts of facts to use in quizzing their dad. Did you know that in the Northeast we have six hours less of sunlight at the winter solstice than at the summer solstice? Six hours?! I walked away with something more powerful than factoids – I got the enormous gift of gratitude. Boot described his approach to leading with gratitude by saying something to the effect of, ‘don’t cop out on this one by “being grateful.”‘ In his estimation the passivity of “being grateful” doesn’t cause you to purposefully use gratitude in your life. It was clear he practiced a certain mindfulness on the topic. Everyday he takes a few minutes to think about what he is grateful for. In his brief remarks on the topic of gratitude he reminded attendees of how much we have relative to those on the planet who have so little. Since Monday I’ve tried on Boot’s approach. Honestly I think I’ve been on this topic for about 4 weeks now – although I didn’t have his vocabulary. By-the-way, it’s given me a buoyancy that I haven’t had in longer than I can remember. For a good bit of the past year I’ve been visited – Ebenezer Scrooge-esque – by anger, guilt, fear, isolation. There are probably more if I really think about it. Who knew transition would evoke such feelings? Have any of these been a part of your transitions? You see I had never considered leaving my career. It never crossed my mind. I’m very opportunistic, not a ‘planner.’ So thinking through ‘how children and family’ would play out in my life never really happened. Suffice it to say that I am traversing new ground. Gratitude. What a wonderful state in which to come to know my new self. I hope you give it some thought. Gratitude is just the gift I was looking for this holiday season – for so many on my list. You’ll ve amazed at what comes back to you once you try this approach. Despite Boot’s downplay, I hope that you have much to be grateful for this holiday season. Thank you for being part of this journey. Happy Holidays. 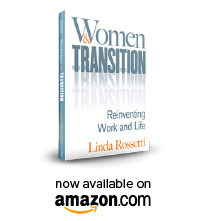 This entry was posted in Observations on Transition and tagged observations from a women's transition, women's transition, women's transition issues. Bookmark the permalink.